Weighted vests can be highly beneficial to those who enlist their use in their workout routine. By adding extra weight to your body weight, the user can improve speed and agility, tone muscles through body weight exercises, and increase running or walking distance via improved stamina. 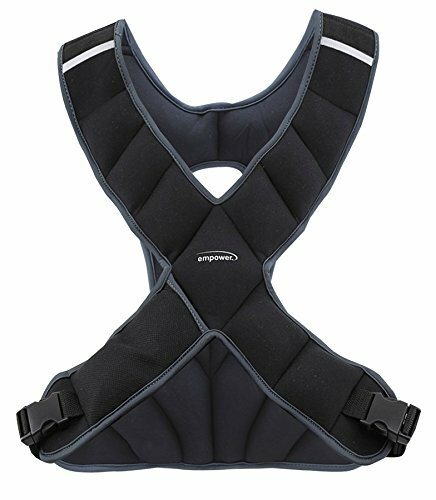 There are many weighted vests on the market, but there are some made especially for women that stand above the rest and are easily available through Amazon. 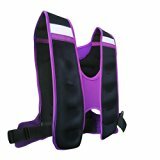 The Empower Women’s Weighted Fitness Vest is an eight-pound vest available on Amazon.com. Wearing this vest allows for the eight pounds to be evenly distributed across the wearer’s torso while working out. This vest is made of neoprene with adds to the items comfort, style, and breathability. 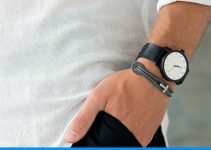 It includes easy to close clips and straps which make adjusting it easy, even while wearing it. Its design includes x-straps which make the vest, available in only one size, suitable for most body types while also not adding unnecessary weight to the wearer’s chest. The vest cannot be machine washed, but it can be spot cleaned as necessary. The Empower Women’s Weighted Fitness Vest even includes a convenient cell phone pocket. The weight of this vest is in the sewn on sand pockets, which means, that weight can neither be added nor subtracted. It is a perfect vest for a woman looking for a beginning weighted vest or a woman looking for less weight in their vest. 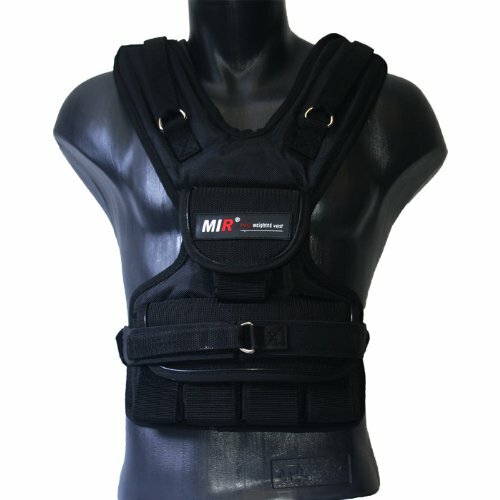 The MIR Adjustable Weighted Vest for Women typically runs a little bit more expensive from its competition, but it can be worth the difference due to its unique features. The vest has a maximum weight of thirty pounds, but this weight is adjustable. The weight can be added or removed from the vest in three-pound increments, and the thirty pounds of weights are included in the purchase. This vest is meant to fit anyone with a frame of five feet to seven feet and includes and adjustable Velcro straps. It is made of nylon and has elastic side straps which contribute to the breathability of the piece. Many enjoy this vest because it does not contain sand and instead only has the weights. For women looking for adjustable weights up to thirty pounds and a comfortable fit, this vest is just right. The most noticeable feature about the Hyperwear Hyper Vest is that it features a zipper front design rather than the traditional straps. The vest instead features adjustable lacing on each side to allow it to fit multiple body types and frames. It is made of spandex and is machine washable for the convenience of the wearer. The Hyperwear Hyper Vest comes with five pounds of plastic coated weights, and depending on the size of the vest, has some capacity for additional weights to be added. This vest also has a scoop neckline to add to the stylish feature of the zipper. For those looking for a stylish vest that can be worn with minimal clothing underneath and doesn’t need to be hidden under clothing, this lightweight vest is the perfect option. The reflective safety stripes on the Zeyu Sports Weighted Vest makes it stand out on the street and on this list. The vest goes beyond safety and is environmentally friendly. Made from sustainable synthetic rubber, the vest features quick release clips on each side. Along with the eco-friendly rubber, the vest has patches of breathable material to increase comfort while working out. The ten-pound vest has a non-slip material on the inside which helps the vest grip whatever surface it comes in contact with on the inside and stays in place through strenuous activity. Weight cannot be added or subtracted from the vest, but for those looking for a ten-pound vest complete with safety stripes, it is a great fit. This CFF Women’s Pink Weight Vest is perfect for the pink lovers out there. 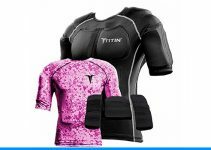 The vest is made of heavy duty pink nylon and is double stitched for durability. This ultra-feminine vest is complete with ten two-pound iron blocks, and each vest can hold up to twenty-two pounds. Each block is housed in a snug pocket which reduces motion while working out. The vest has large buckles and can be adjusted quickly even while wearing it. It includes wide shoulder straps that do not hinder range of motion and provide comfort while reducing pressure on the chest. The thick belt at the bottom of the chest removes the weight from the chest while still evenly distributing the weight on the vest. 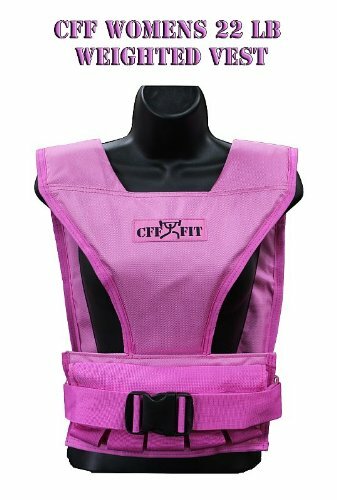 The lack of sand, color, and comfort of the CFF Women’s Pink Weight Vest make it highly desirable for the woman looking for adjustable weights and attractive color. The HumanX Weight Vest is available in three different weight types: a 10 pound vest with adjustable weights in half pound increments and a 20 pound vest with adjustable weight in one pound increments, and a forty pound vest with adjustable weights in two pound increments. Their custom designed weights hug the wearer and stay in place during activity. The HumanX vest focuses on the comfort of the wearer with its fully adjustable shoulder straps and belt to fit most body types. The straps and the belt combine to hold the vest in place and reduce abrasion during workouts. 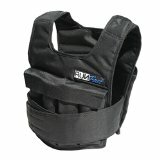 The outside of the vest is strengthened to resist scuffing or tearing and includes pads on both the shoulders and chest. The design of the vest allows for full range of motion and keeps it above the hips without crushing the wearer’s chest or shoulders. It is a great vest for those looking for durability and variable weight sizes. The Women’s VestTM is perfect for the active woman looking for added weight to increase her workout. 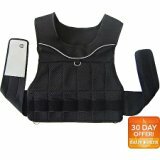 It comes with twenty-one pounds of weight which can be added or subtracted from both the front and the back of the vest. The vest is specifically designed with a woman’s shape in mind. No weight is placed on the chest, nor does the vest pull down on the chest. It has adjustable straps to fit any shape and can also be adjusted for height. The VestTM can be washed in the washing machine without its weights in its pouches or it can be hand washed with the weights still inside. It is a great vest for someone looking for up to twenty-one pounds of weight, height adjustability, and ability to machine wash. The RUNmax Run Fast Weighted Vest is a great option for those looking to add high volumes of weight. This model has shoulder pads included, but it can be purchased without them. The vest has adjustable straps and is a one size fits most style. The weights are stored securely on the front of the vest toward the abdomen. It comes with twenty pounds of weight in two and a half pounds bags and more can be purchased to add to the weight of the vest. All weights can be removed from the vest, which makes washing it a breeze. A great vest for those looking for a wider range of weight and the option to continue to build up weight over time. The twenty-five pound V-Max 4 Women is a great weighted vest for those seeking durability and additional padding in the design. The vest comes with a lifetime warranty and their guarantee to outlast any of its competition. It is designed in the shape of a Y to cater to a woman’s shape. While weight cannot be added, the placement of the weight and the Y shape across the chest does minimize any pressure to the chest. It can be spot cleaned and comes in a variety of colors. The combination of straps and pads on the V-Max 4 Women makes the vest comfortable while keeping it securely in place during exercises. This vest is a perfect choice for anyone looking for twenty-five pounds of additional weight and the added bonus of extra cushioning. The Gold’s Gym Adjustable Weighted Vest is built of mesh with reflective additions which make it both breathable and visible. With multiple weight pockets, the adjustable weight up to twenty pounds is evenly distributed across the wearer. The vest is designed as unisex, but similar to the women’s vests, it keeps weight off of the chest even when fully weighted down. The vest includes an electronics pocket which is easily accessible while wearing it. Each weight pocket is secured with Velcro to limit movement while exercising. The combined adjustability of the weights and the reflective safety features make this vest a great choice for those who particularly enjoy taking their exercises outside.